Computer hardware news is getting pretty stagnant as of late. It’s not that there isn’t new things coming out, it’s just most of the releases I’ve been seeing are hardly more that a slight revamp of what’s already out. That being said though, there are still some components that can turn heads and Computex brought us some intriguing devices that I feel are worth some honorable mentions. 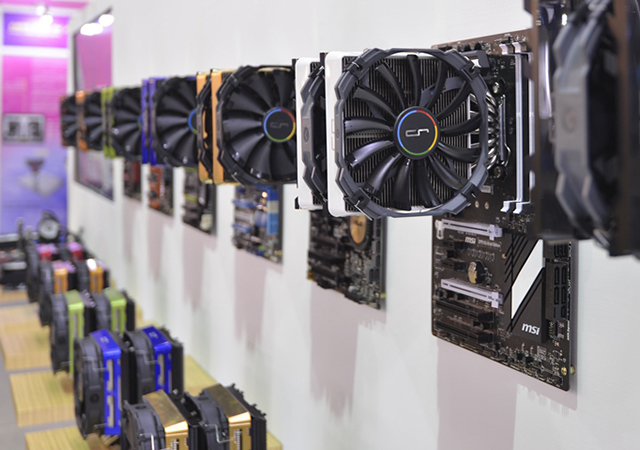 Without further ado, let’s take a look at the top 5 releases in components from Computex 2015. It’s going to be pretty apparent why this unit is last on the list. There isn’t very much that separates this unit from just about any other AIO on the market. The ability to add custom dye to the coolant is a neat feature, but isn’t anything revolutionary. The EXllusion240 may be expandable, but I haven’t seen anything that officially confirms that. The only thing that caught my eye is the massive 400w + TDP rating. That’s a huge thresh hold and while other coolers brag about great cooling performance, very few put a number like that on it. We’ll have to wait for some reviews to see how well LEPA lives up to it’s claims, but when all else fails, I would gladly like to break my previous records. For the last few generations, INTEL has been giving us minor improvements that involve fairly hefty price tags. About the only notable feature the Z97 chipset offered was some more advanced storage options, but otherwise, there wasn’t a whole lot of exciting news based on previous CPUs and chipsets. The Z170 is the first release from INTEL that has really peaked my interest in a long time. At first glance, you might propose there isn’t a whole lot of features being added and you would be right. It’s what’s underneath that makes the Z170 sound like a good step forward. INTEL is improving all of the PCIe lanes that communicate with the chipset to 3.0. The more recent chipsets have typically included 8 PCIe 2.0 lanes that handle communications from things like storage devices, USB ports and additional add-on cards usually built in from the various motherboard manufactures. 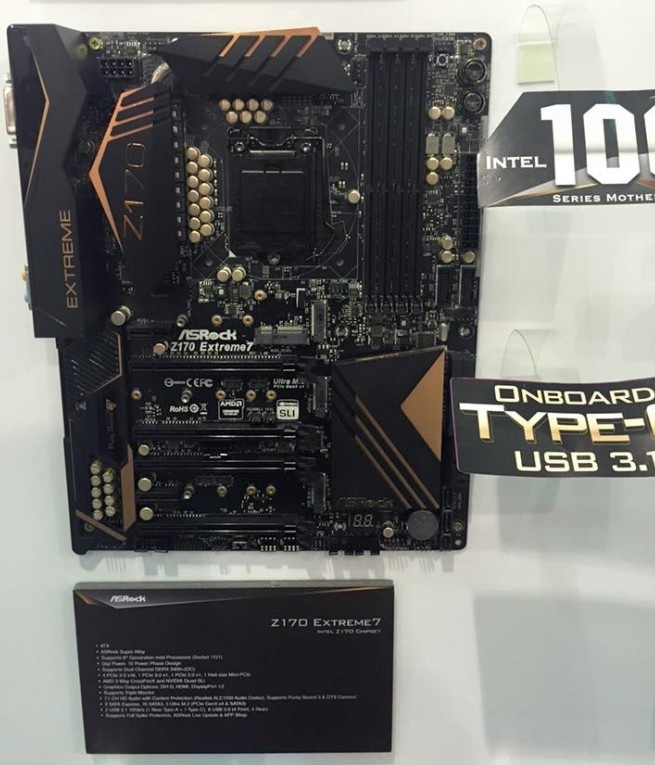 The Z170 chipset will increase that to a whopping 20 PCIe 3.0 lanes effectively quadrupling the total bandwidth. Also, that’s not to confuse the lanes with the CPU PCIe 3.0 lanes that typically communicate with GPUs. 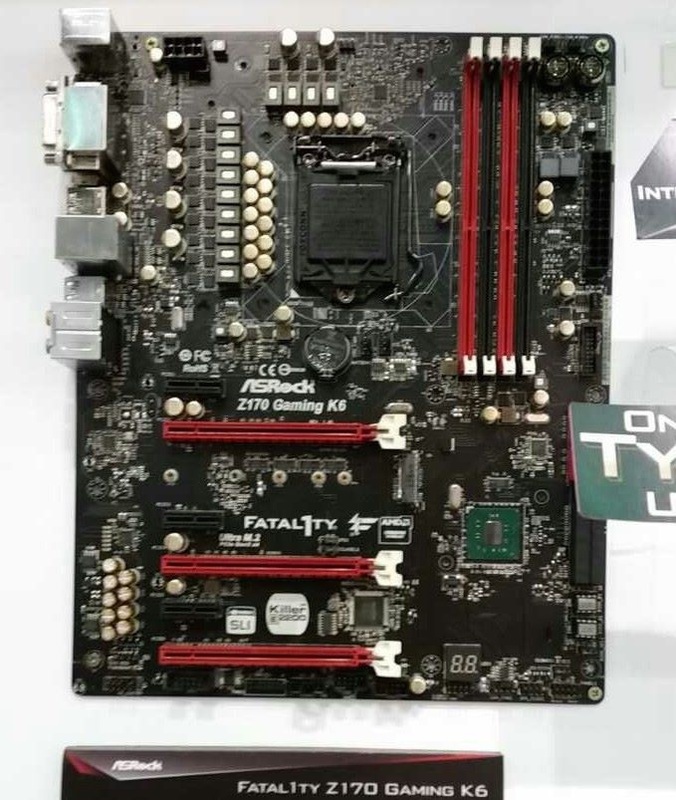 If Skylake comes with the traditional 16 lanes, then we’ll see a grand total 36 PCIe 3.0 lanes across the board. If we’re lucky, INTEL might offer some additional lanes to high-end desktop versions for those who like their CrossfireX and SLI setups, but time will tell. At first, I almost glanced over this with hardly a second look. 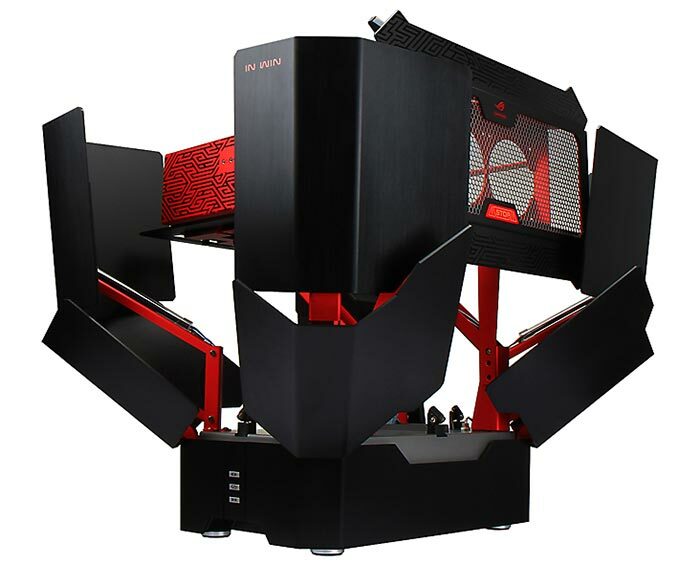 Sure, the tower looked cool, but I didn’t see anything noteworthy that really separated it from many other computer cases. The specifications didn’t seem to help the cause either. It wasn’t until I was pouring through other articles that I found out with one push of a button, the entire case opens up, transformer style, to allow you to work inside of the case. That is cool! Outside of that feature, the case looks solid when it comes to space for components and cooling but come on! A transformer case!?! Shut up and take my money!!! Case modding is a thing and if you haven’t seen some brilliant mods, then you should start looking them up right away. A lot of times, a modder will look for a very simplistic case design so that various modifications can be made easily without having to work around any abnormal angles from the company design. It’s hard to imagine COOLER MASTER is trying to target anyone other that these type of builders. The MasterCase line up is pretty simplistic in aesthetic design, but offers the user tons of customization options. Ultimately, every piece is designed to be tinkered with to the users content. What if you mess up? This case is designed to have replacement parts so that if you make a cut wrong, accidentally snap a clip, or just want 3 different panel schemes to switch out for Mondays, Wednesdays and Fridays, you don’t have to order a whole new case to do so. 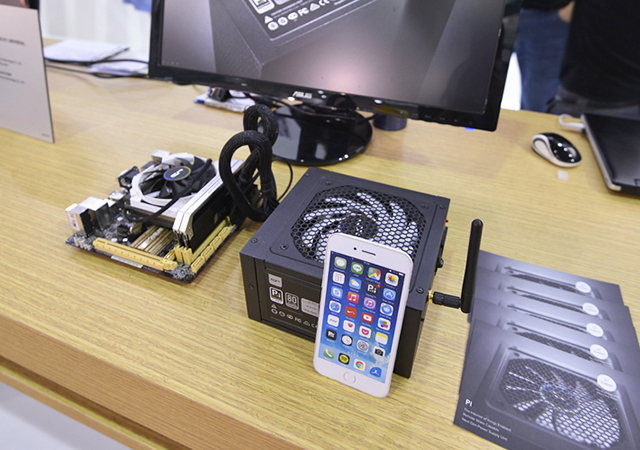 While I might not have the artistic ability to make this case worthwhile, I believe COOLER MASTER brought a truly innovative product to Computex 2015, making it very hard to leave it in the second place. Where do I begin with these guys? 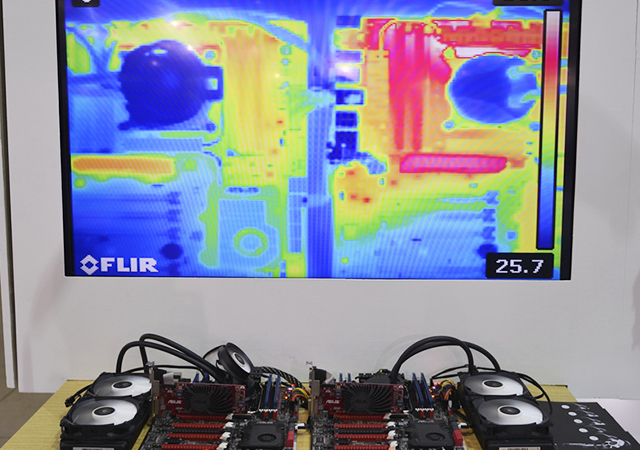 It seems like they pulled all the stops for Computex 2015 with a massive showing of cool to downright scary ideas. The CUSTOMOD covers for the R1 line of tower coolers is a brilliant idea. While it doesn’t offer any particular performance benefit, the aesthetic appeal is great and I can think of a few rings that would look excellent in my builds. 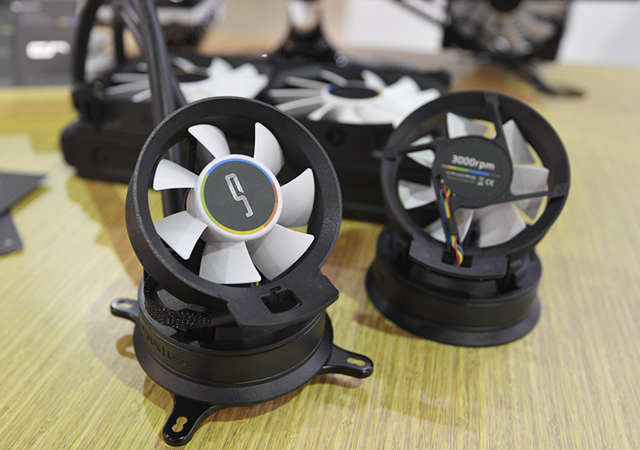 CRYORIG also delved into a new territory for PSUs. The Pi series has a remote on/off switch that can be accessed through the web, rather than forcing users to use a wake-on-lan feature and seems like the first PSU to offer this sort of feature. The other concept that I really liked was their new A Series of AIO CPU coolers. The blocks all contain a small fan that can be angled to cool off the other components around the CPU socket. I currently use a small goose-neck fan to help keep temps on my VRMs in check but the aesthetic appeal of this unit far surpasses my own setup as well as offering better angles from the positioning on top of the block. As much as I liked these concepts, the ultimate reason for the top spot on this list is something that I can only describe as something on the scale of an Indominus Rex. What happens when you combine 7 heatpipes, 5 fans and 4 towers? You get the CRYORIG AF41 CPU tower cooler. This thing is absolutely massive and defies any sense of reason one can muster. I literally stared at it for minutes, mouth gaped open, trying to figure out how it was possible. I eventually called my two co-workers over for the same effect! It’s hard to imagine how anything will be able to top this in the air-cooling department and I imagine the performance is going to be pretty impressive. 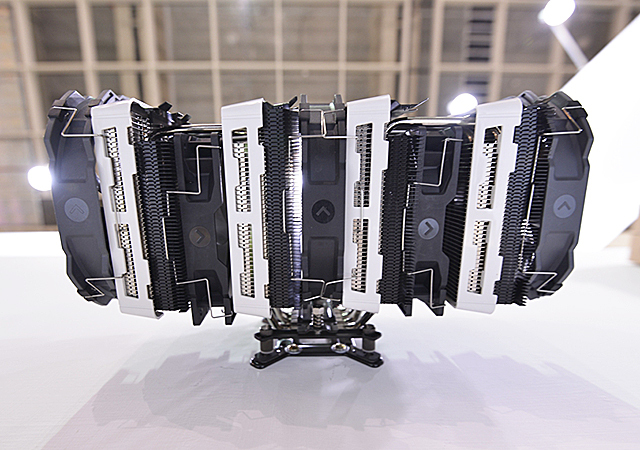 CRYORIG really brought their A-game to the show and sparked a huge amount of enthusiasm for innovation and future releases, easily earning them my #1 pick for the Best of Computex 2015! The AF41 is a genuine tribute to excess. What case is this beast going to fit into?